The important understanding of left-hemisphere bias and dominance in today’s Western world and how this impacts our experience of trauma and capacity to heal from it on an interpersonal level. 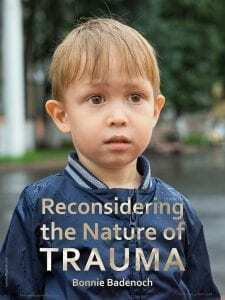 1 hour reading course featuring the two main articles from volume 6 issue 4 - Reconsidering the Nature of Trauma and Healing the Unconscious Conflicts of Being Our Authentic Self Using the Change Triangle. Volume 6 Issue 4 short reading course will take you though the articles Healing the Unconscious Conflicts of Being Our Authentic Self Using the Change Triangle; Reconsidering the Nature of Trauma. PDFs of these articles will also be available. Bonnie Badenoch, MA, LMFT, is a marriage and family therapist. mentor, and speaker. She is executive director of the nonprofit Nurturing the Heart with the Brain in Mind in Vancouver, WA, offering support to those in the healthcare professions through year-long immersion trainings in interpersonal neurobiology. 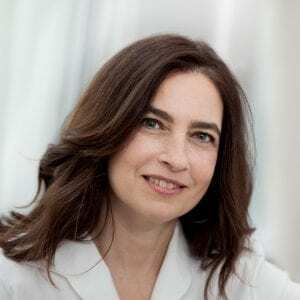 Hilary Jacobs Hendel, LCSW, is author of the book, It’s Not Always Depression: Working the Change Triangle to Listen to the Body, Discover Core Emotions, and Connect to Your Authentic Self (Random House, Feb. 2018). She received her BA in biochemistry from Wesleyan University and an MSW from Fordham University. 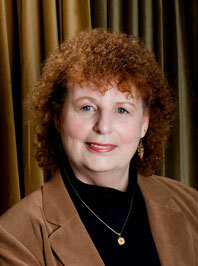 She is a certified psychoanalyst and AEDP psychotherapist and supervisor. She has published articles in The New York Times and professional journals. Hendel also consulted on the psychological development of characters on AMC’s Mad Men. She lives in New York City. i got the same problem, cant access this course!! Hi Zina, you need to be a Standard or Premium subscriber to access the courses. Sorry.